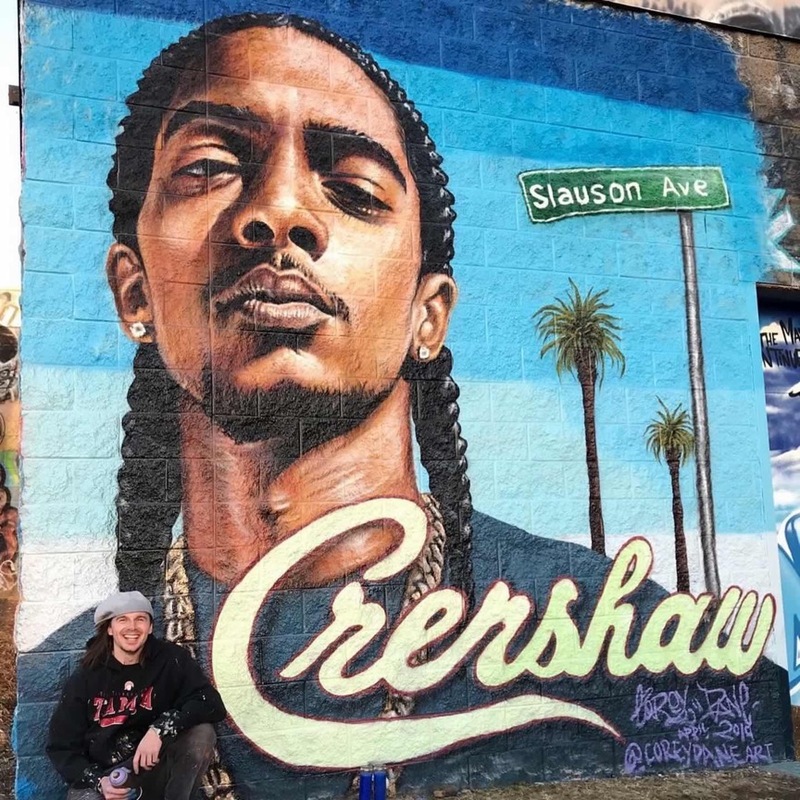 On Sunday, March 31, rapper and community activist Nipsey Hussle was killed in a shooting outside his Marathon clothing store near Slauson and Crenshaw Avenue in South Los Angeles while helping an ex-con friend who had just been released from prison. He was donating clothing to the man before he was to meet with his friends and family later that day. His tragic murder by long time associate, Eric Holder, has created a shift in the Universe, affecting communities world-wide, making him an urban hero who is being likened to Tupac, Haille Selassie and other black leaders. It was like he was sent by God to give some love to bring us together because that’s what his lyrics were saying, always. He’s not too shy to tell the truth even though it might not look good. He wasn’t scared of anything. [God] sent him to send a message. It looks like “Your time is up because you have completed what I sent you to do.” We all have a plan, but God has his own plan. It may be hard for some to understand how so many people could love and admire a known gang member, street entrepreneur, and rapper. It may be hard to understand why this is national news. Why is all of hip hop, along with the LA police chief mourning his death? Why have rival gangs, Christians, black Muslims, Rastafarians, multiple races and socioeconomic groups taken time this week to pay their respects? Why is every city in America and Ethiopia holding vigils to honor this man? The answer to these questions is simple yet very powerful. Let’s start with Gang Affiliation. There are many nuances to be considered. For many youth who are raised in communities of systematic poverty and violence, gang affiliation is a natural way of life. For many, there are no alternative options. For some, the familial affiliation can be 3 to 4 generations deep. It’s woven into the fabric of family and identity. To walk away can be not only a death sentence, but also mean a life of lonely banishment from their family structure. For others, it’s making a life-altering decision at 10 years old because they are tired of being jumped while walking home from school. Sometimes it’s about finally receiving positive affirmation from a male figure of the same ethnicity, as in Tupac’s situation. For some, they want to wile out in their depravity. For all, it’s a way to cope with the deep saturation of hopelessness that reigns in inner city communities. There are layers of systematic pain that bombard America’s poorest communities nonstop. Born Ermias Asghedom, Nipsey was a first generation Eritrean-American raised in South Central Los Angeles. His neighborhood is ruled by the street gang, The Rollin’ 60s Crips. He was a member of this gang. Nipsey grew in street cred and popularity but didn’t speak like his peers. He spoke about purchasing jewelry and cars as a liability. In his first interview, He spoke on how he was interested in buying real estate and opening businesses at 19 years old. He talked about what happens when there is a lack of opportunity and resources. His goal was to create opportunities for financial security and business ownership. These were not empty words. Nipsey Hussle’s clothing store, Marathon, was the first “smart” clothing store of its kind. Each clothing item had a scannable tag that was activated once purchased. 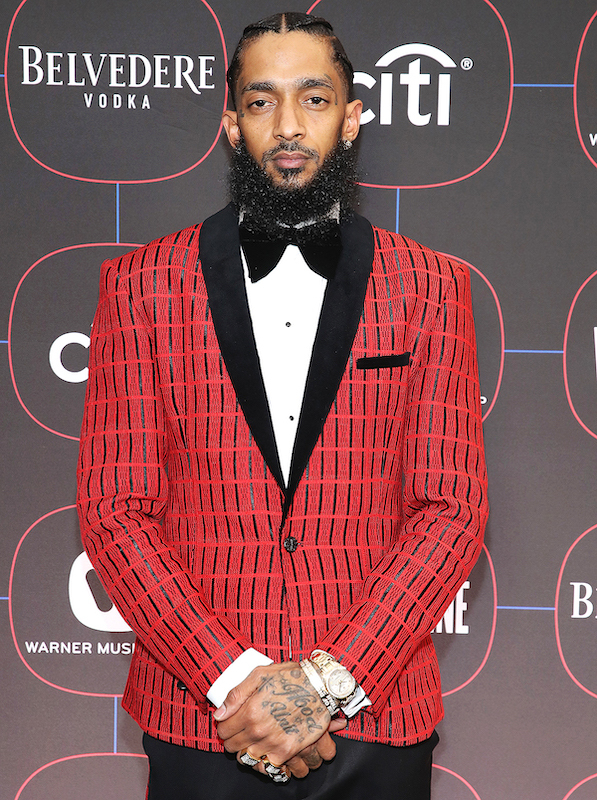 The consumer was then able to scan the QR code and listen to unreleased Nipsey Hussle music, often with major artists he’d collaborated with. The money was used to fund restaurants and other businesses in the area surrounding his store. He invested millions in renovations to make healthier eating choices available. He chose this area because people in the community typically didn’t have vehicles, so their options of quality clothing and healthier food choices were limited. He opened Vector 90 with Dave Gross, a co-working space that launched a STEM program for young students to bridge the gap between inner city youth and silicon valley. The campaign was titled Too Big to Fail. He was a protector and wanted us to be our best at all times. He was a truth speaker and truth seeker. 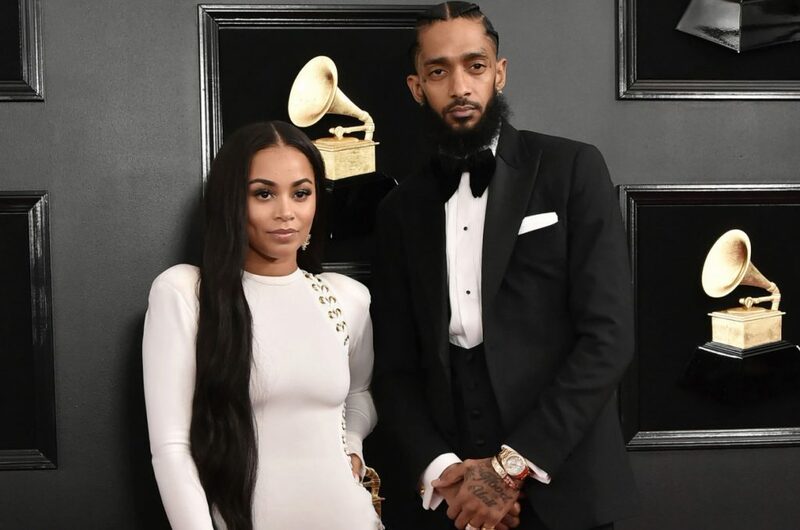 When he died, Nipsey was in the process of working with the LA police chief and Roc Nation on how to cultivate better relations between LAPD and young people of color. 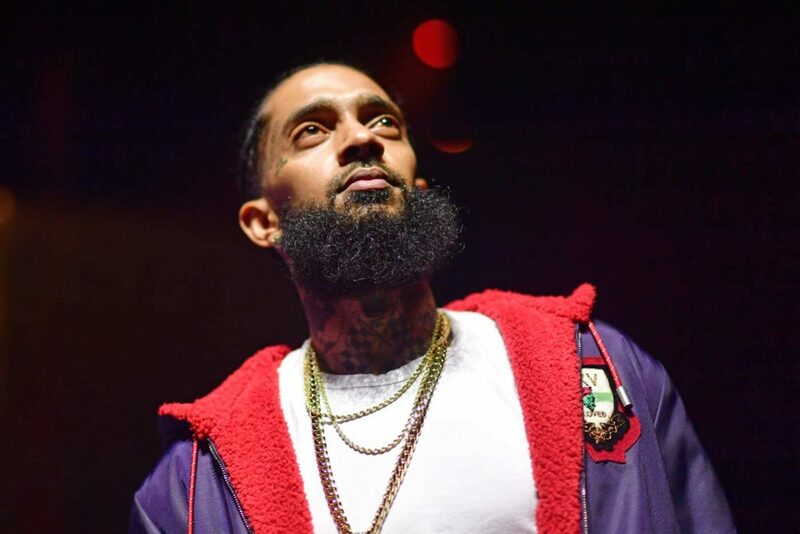 Nipsey Hussle’s legacy will be cemented in U.S. history forever. Congress-member Karen Bass has revealed that she will be entering his contributions to his community in the congressional records. TMZ has reported that his family is holding his funeral at Staples Center, where the LA Lakers play. Sources say the service will take place on Thursday morning at the 21,000 seat venue, a fitting honor for a king.